Grace is Set to Perform on “The Today Show” July 6th! 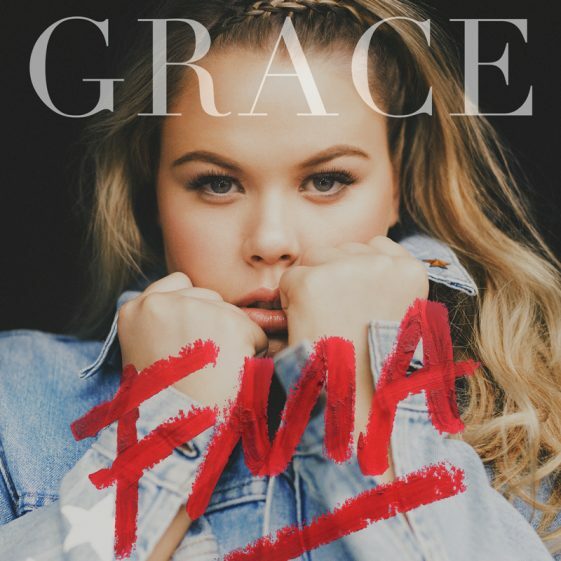 (New York, NY — July 1, 2016) Australian vocal powerhouse GRACE SEWELL’s debut album, FMA is available today, Friday July 1st, on Regime Music Societe/ RCA Records. Grace recently premiered her new track “Church on Sunday” via Elle.com this week- click HERE to check it out! Grace also recently released her new track, “Hope You Understand.” Click HERE to listen. FMA follows the release of her chart-topping debut hit single, “You Don’t Own Me” Ft. G-Eazy, which is now certified Gold and currently Top 3 Shazam in over 20 markets, Top 10 Shazam in over 85 markets and Top 25 at Pop radio on over 150 stations in the U.S, and over 50 million streams on YouTube. “You Don’t Own Me” is a throwback cover of Lesley Gore’s 1963 anthem. Produced by the godfather Quincy Jones, who also produced the original, and Parker Ighile (Nicki Minaj, Rihanna, Jessie J, Ariana Grande), the track has not only has become a hit in the US, but also reaching the #1 spot on the official UK Radio chart, as well as topping all major U.K sales charts across the board. The single also hit #1 and is certified double-platinum in Grace’s native country of Australia.